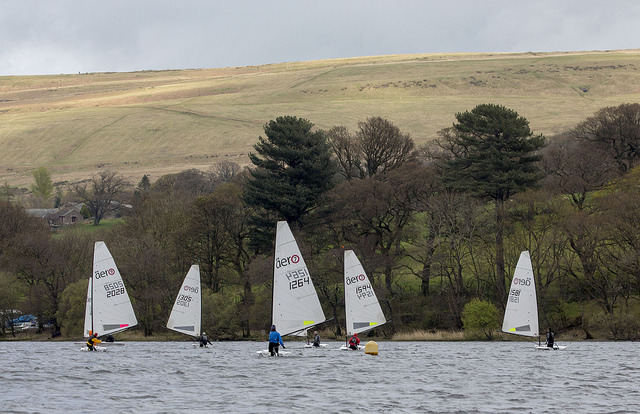 The inaugural 2017 Green Frog Genovate RS Aero Northern Championship was held over 3 days of the Easter weekend in the beautiful Lake District at Ullswater Yacht club with a bonus training day on the Good Friday. Bernard Clark (Ripon Sailing Club) took 8 keen sailors through boat handling skills and getting the start 'just right' - all to help over the competitive weekend ahead. 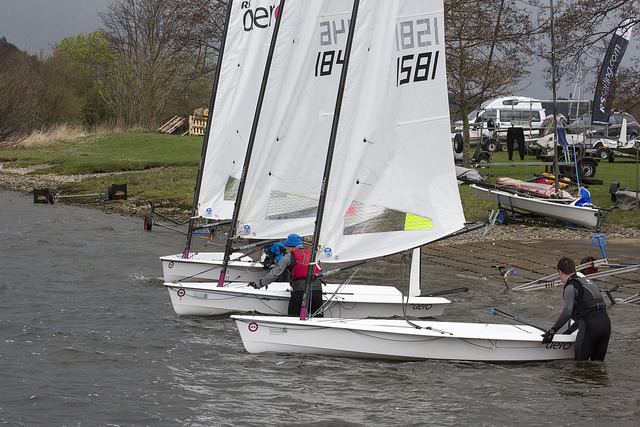 A challenging day for 11 entries saw a minimum of 20 mph winds building in strength with very shifty 40 mph squalls flying across the lake making very difficult conditions for the start of this Easter regatta. Dropping to an RS Aero 5 rig I got to the start line but as the committee boat kept getting blown off its anchor and delaying the start, I lost confidence and hot footed back to the safety of the clubhouse. Braver (some may say more foolish!) sailors faced the elements and swimming was inevitable, despite rig changes, as several capsizes was the order of the day for most. Only five sailors braved it for the 3rd race that day as conditions became increasingly ‘exciting’! Ben Rolfe (Burghfield SC) took 3 bullets and set the bar for the rest of us. Apres sail, a cheering clubhouse supper and a warming tipple encouraged tales of daring dos monstrous gusts and much bravado. I thought I was at a fisherman convention! The wind had blown itself away. The struggling 2 knot breeze dropped to a calm within moments of the start and Goldilocks (my new nickname!) retired in disgust. The wind played games with the race officer all morning - switching 180 degrees and back again until eventually playing ball and offered a more seemly 5-6 knot breeze allowing the 4 planned races to be completed. Ben had it in the bag with 3 further 1st places but Chris Jenkins (Bowmoor SC) stole a 1st and it was anyone's guess who would take 2nd place between him and Ed Storey (Yorkshire Dales SC). Easter Monday - Day 3, dawned sunny showing the full magnificence of the Lake District and the beautiful countryside. The new born lambs were calling and the green hills incited poetry. The wind however forgot to come! The race committee were undaunted and started race 8 with no wind and we struggled to cross the start line. The course was eventually shortened giving Chris Jenkins another 1st, and with consensus of all competitors the Championship was concluded. 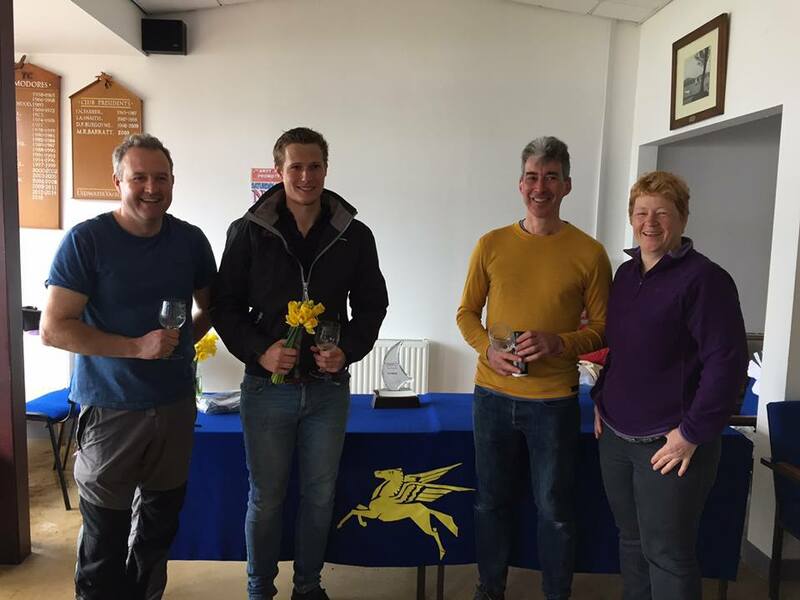 Overall results - Ben Rolfe 1st, Chris Jenkins 2nd, Ed Storey 3rd. 1st Lady - Julie Archer (Ullswater YC). Goldilocks wouldn't play unless conditions were perfect! Photo Gallery by Tim Olin can be found HERE. The RS Aero UK Class are delighted to have Green Frog Genovate, innovate power generation specialists, supporting their UK Northern Circuit this year. The beautiful Green Frog Genovate RS Aero Northern Championship Trophy was on display. There were calls for a Masters class for the over 55yrs so this is now in the pipe line too. 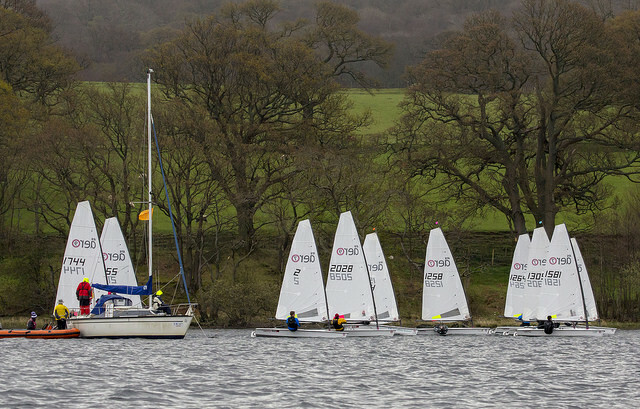 Many thanks to all at Ullswater YC for hosting such a pleasant weekend at their beautiful Lakeland location. The second event of the RS Aero UK Northern Circuit is to be held at Yorkshire Dales Sailing Club on Sunday May 7th. Matt Thursfield has kindly offered a training day on Saturday 6th. It would be helpful to know numbers of anyone interested in attending. Please drop Nick a line.